A blank pistol with the strength to stand up to frequent use and for those who prefer a larger, more hand-filling pistol. 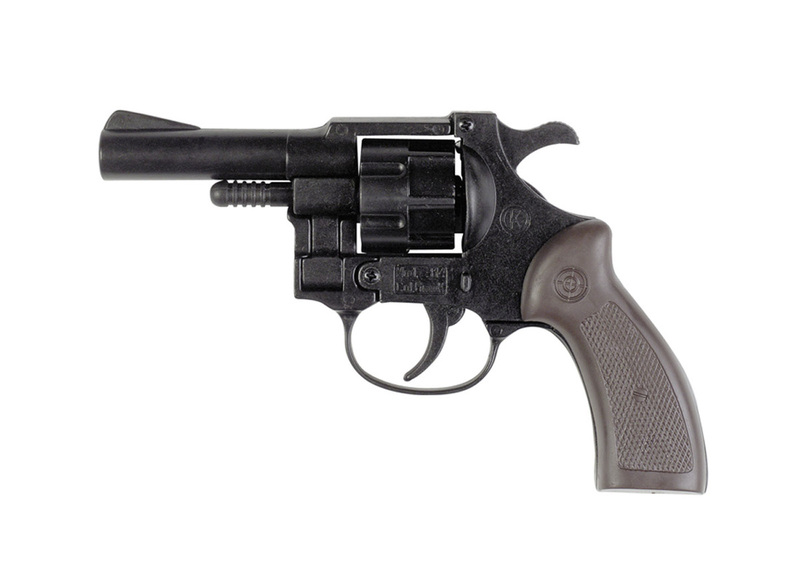 This deluxe blank pistol has the heft and balance of many conventional pistols. 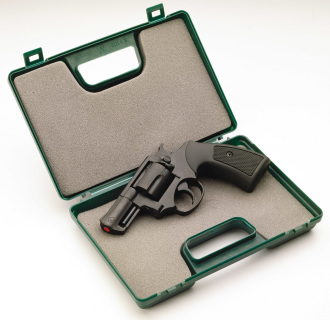 A solid barrel with a red plug identifies that the barrel is safe and is not a real gun. The cylinder swings out for loading the five (5) 209 shotgun primers. Comes in a handy plastic, foamlined storage and carrying case.